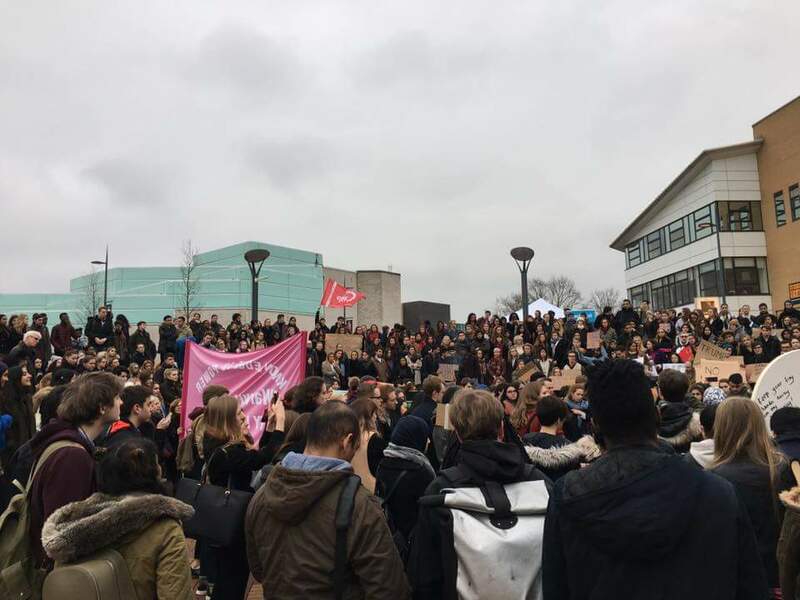 With less than 24 hours notice, hundreds of people joined emergency protests in Coventry and at Warwick University against Donald Trump’s ban on people travelling to the USA from seven predominantly Muslim countries. 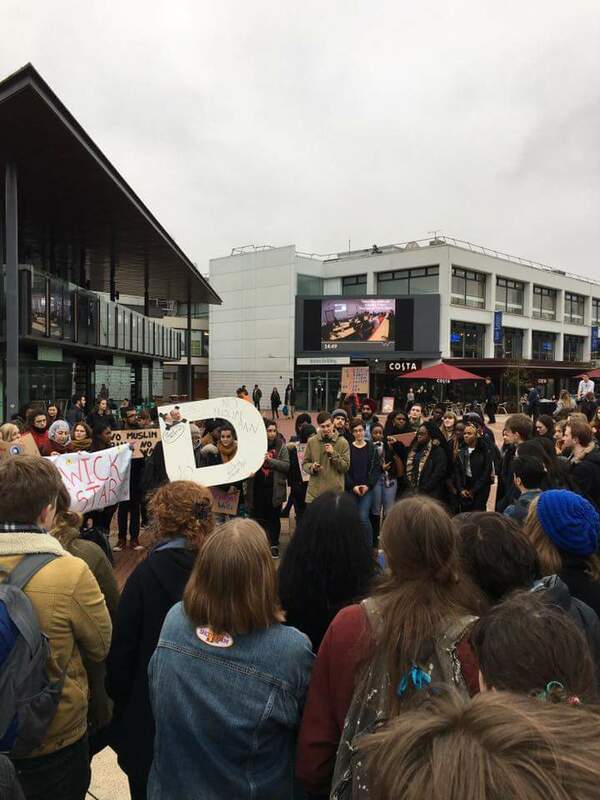 These protests were part of a massive display of resistance across the UK, uniting with millions across the world. They follow the women’s marches on January 21st, when millions protested around the world – 100,000 people demonstrated in London alone. Over 1.7million people have also signed a petition against Trump’s planned state visit to the UK. 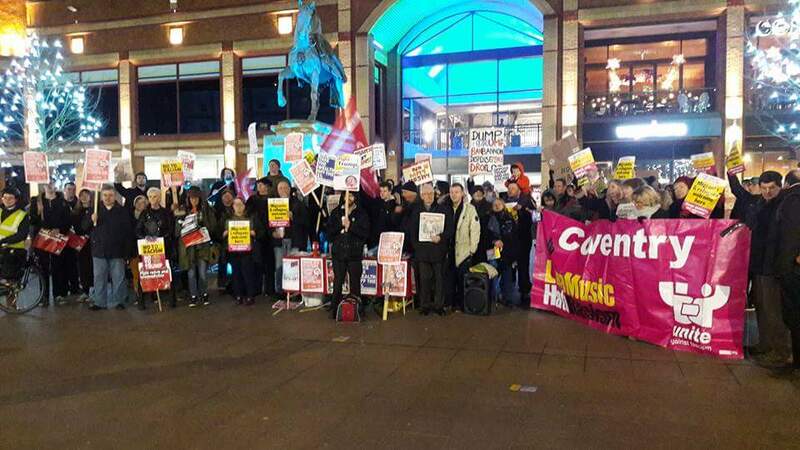 Trade unionists, anti-cuts campaigners and Socialist Party members spoke at the protest in Coventry, stressing the need to build a movement against racism and austerity, and for a socialist alternative to the rotten capitalist system that breeds them. Have you signed the petition against Trump and want to build the movement against him and his policies? If so fill in the form below!